A charity set up in memory of Red Arrows pilot Jon Egging, who tragically lost his life while performing at the Bournemouth Air Festival in 2011, is now working to support children in Hampshire, with help from air traffic control provider NATS. Currently operating in seven regions across the country, the Jon Egging Trust (JET) helps young people to identify their strengths, overcome adversity and work towards achieving their ambitions. 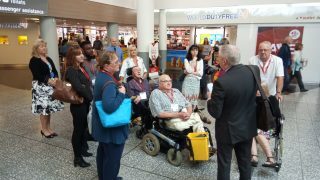 NATS, based in Whiteley, launched the partnership by hosting a special event at its control centre in Swanwick. Twelve children from Brune Park School in Gosport were invited as part of JET’s ‘Inspirational Outreach’ programme, which aims to help young people develop teamwork, leadership and employability skills by linking them with inspirational people and environments connected to aviation, science and engineering. Martin, NAT’s safety specialist who met the kids on the day said: “I am so pleased that NATS is working with the Trust to help them expand into the Hampshire region. This exciting development will enable the Trust to support even more young people. Allie Hack, JET’s Area Director South, who was also present, said: “JET is extremely proud of our new partnership with NATS. The complex dynamic of their work and enthusiasm of the staff will enable us to provide high quality inspirational learning experiences for local students. Since the Trust launched in 2011, more than 10,000 young people have passed through JET’s two programmes – Inspirational Outreach and Blue Skies. 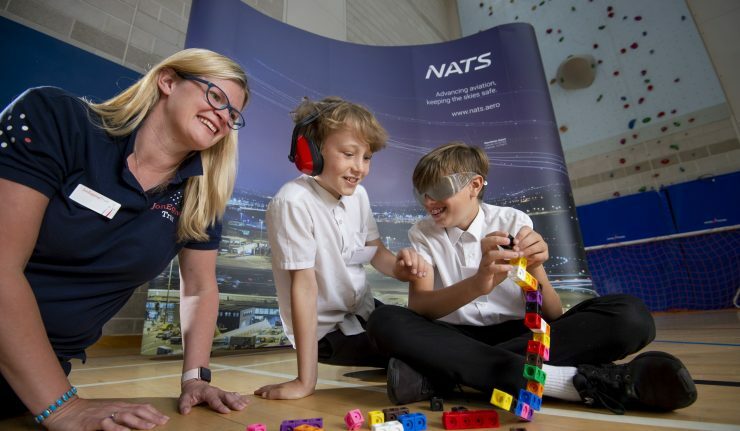 As well as hosting the Inspirational Outreach day, NATS will support JET by hosting various mentoring sessions, involving children in industry events and fundraising for the trust.